Care Info: Dry clean only. 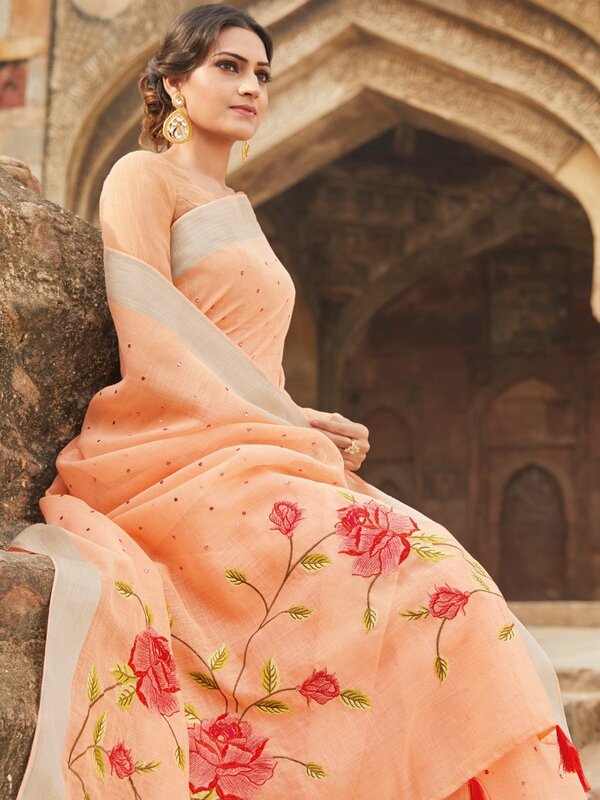 Buy LT Fabrics Linen Silk Designer Saree online at cilory. This saree is a must have in every woman's wardrobe.